A flashlight is one of the most useful everyday tools, but carrying one on a daily basis can be tedious. Small keychain lights do exist, but often have very low illumination output (less than 5 lumens). 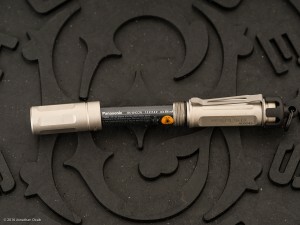 SureFire is trying to address this problem with several products, but one of the most recent offerings in this realm is the SureFire Titan Plus. The SureFire Titan Plus was announced back in the 2015 SHOT Show, but didn’t start trickling out to consumers until late last year. 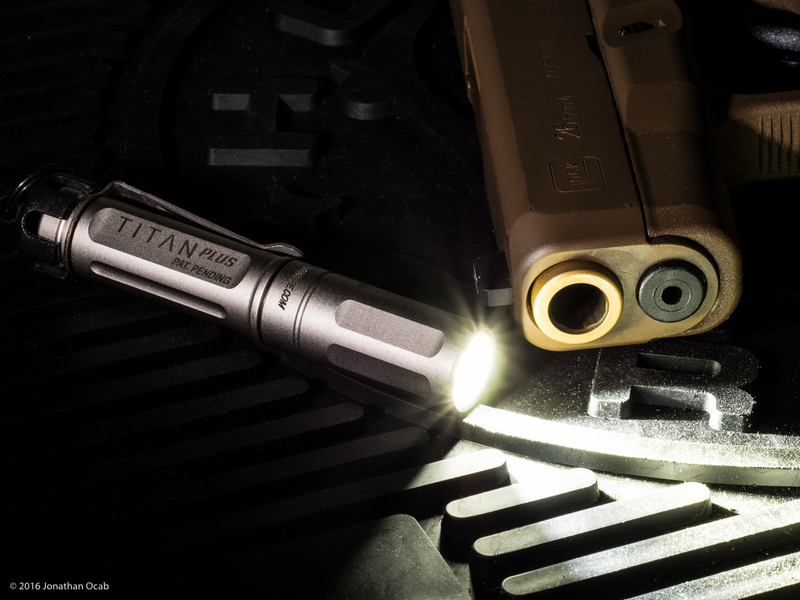 The Titan Plus is a small, keychain attachable LED flashlight with three illumination modes: low at 15 lumens, medium at 75 lumens, and high at 300 lumens, with runtimes of 7 hours, 2 hours, and 1 hour, respectively. This is not bad, but when you combine this with the fact it runs off of a single AAA battery makes the light all that more impressive. I did find it notable that SureFire includes an Eneloop Pro Ni-MH rechargable AAA battery with the Titan Plus. 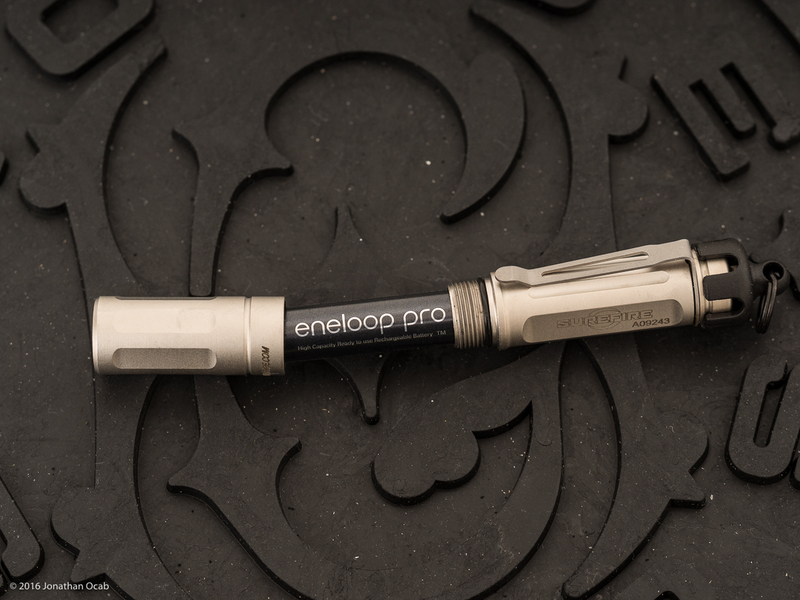 I actually use Eneloop batteries quite heavily, especially for my photographic gear (small flash units, remote flash triggers), so it is comforting to know that SureFire feels Eneloop batteries are suitable for use in their lights. Also, the runtime specifications are actually based off of a Ni-MH battery. The Titan Plus is constructed using a nickel plated brass body, although there appears to be some steel frame because it is attracted to a magnet. 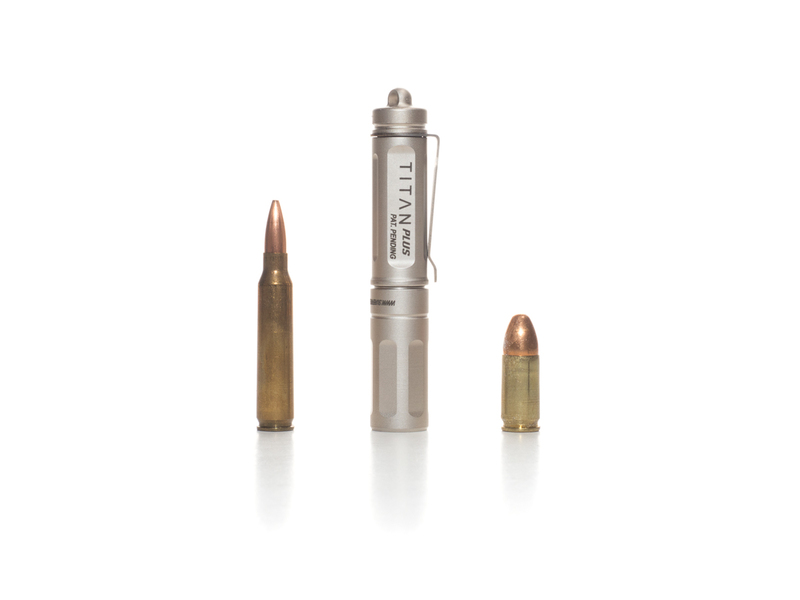 SureFire Titan Plus side by side with 5.56 NATO and 9mm rounds for scale. At 3.375 inches in length, it does have more weight than you would expect from a small light coming in at 2.0 ounces / 56.7 grams. 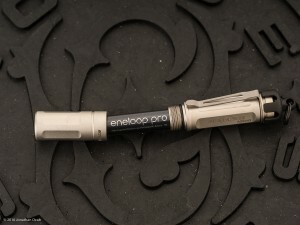 This is heavier than pretty much most pens. Note that the SureFire Titan (lower output version of the Titan Plus) with an anodized aluminum body tips the scale at 0.9 ounces / 25.5 grams, which is less than half the weight of the Titan Plus. The Titan Plus has an integrated loop in the tail of the body to attach to a split ring, lanyard, or other retention device. But it also has a quick detach keyring attachment. This device appears to have enough retention, but I question the longevity of the quick detach device’s retention over time (repeated detach / attach). There is also a pocket clip which is removable. 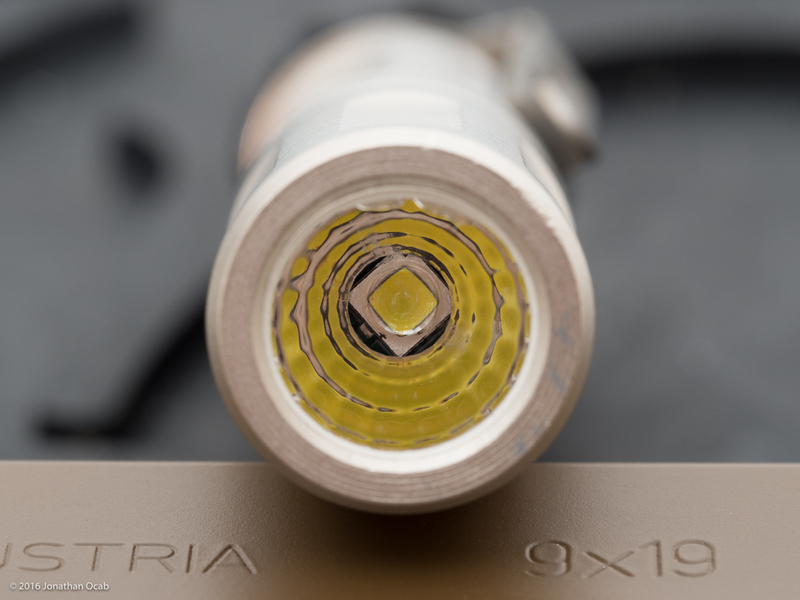 The LED head has a 0.58 inch bezel and utilizes what SureFire dubs the MaxVision Beam. This is mean to create a wider spread, and this is evident in the actual output of the light. 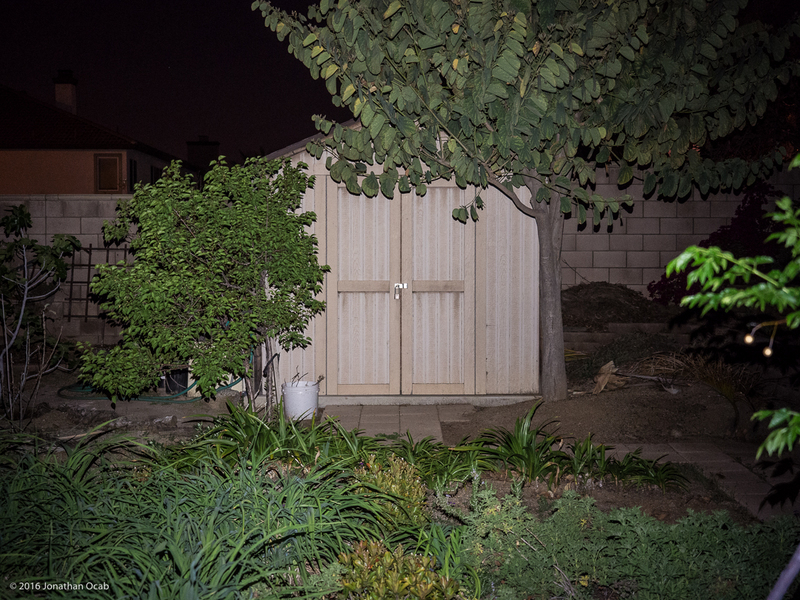 Distance to shed approximately 10 yards. This is not a very tightly focused beam, and therefore offers more function for a utility light as opposed to a tactical/defensive light. 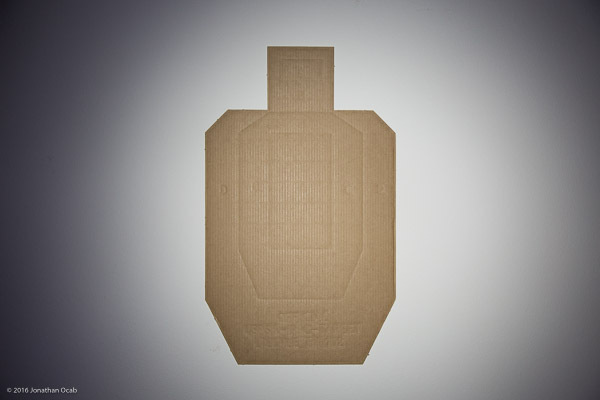 Note that at close range, you still get a relative ‘cone’ of light on the target that is quite strong when on the high 300 lumen mode and will provide adequate blinding light in a close quarters defensive situation. Distance from target approximately 6 feet. Usability of the light is satisfactory. It is not a quick deploy type of light due to the fact you don’t have a click tail cap. It is operated by twisting the head. Turning the head clockwise turns the light on in low power mode (15 lumens). Turning counter-clockwise and turning clockwise again within one second activates the light in medium power mode (75 lumens). 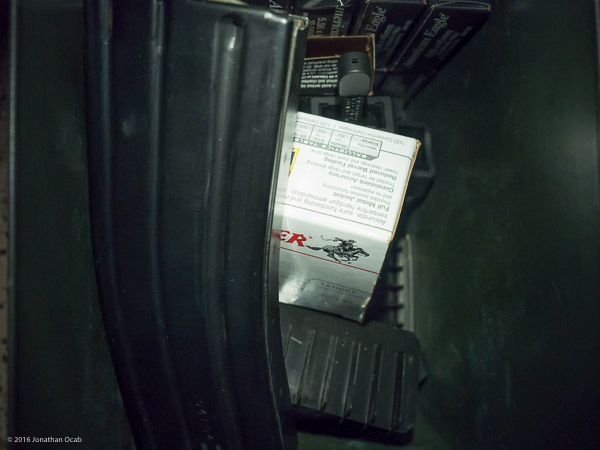 Repeat to activate the light in high power mode (300 lumens). My one complaint with the Titan Plus is that for some reason, between medium and high power mode, many times I have to turn counter-clockwise and back clockwise twice to activate the 300 lumen mode. I tested this and it’s inconsistent whether or not it immediately goes from medium to high, or if I need to turn an additional time to get to high from medium. Although, I have found that I let the light sit in the medium mode for a few tenths of a second (but still under a second) and then turn counter-clockwise and back clockwise, it goes to high mode more consistently. There must be some sort of conditionals in the state logic controller that require a minimum amount of time it is in a specific mode (as well as a maximum amount of time) in order to get the output mode stepped up on the next activation. During my testing of the Titan Plus, I did take note that the light did get noticeably warm to the touch after being on. It’s not hot by any means, but it was hard to miss the fact that the brass body did indeed warm up. I did a informal test of the Titan Plus operating temperature with a compact KINTREX infrared thermometer. I took temperature readings at three points: body, head, and bezel after one minute and three minutes of the light being on high mode (300 lumens). For the most part, it is a very nicely constructed flashlight. But I actually think the less expensive, albeit lower maximum output Titan is a better buy. 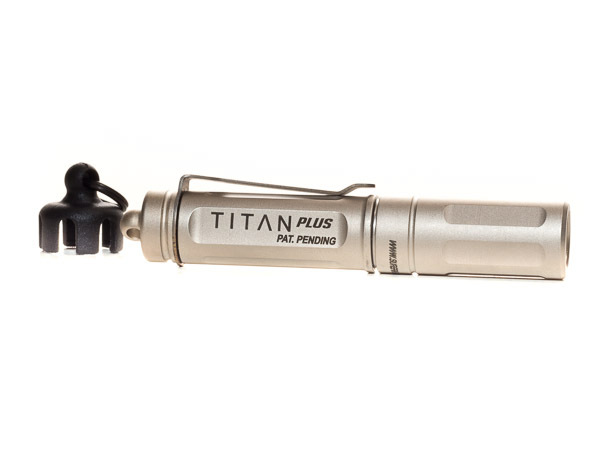 The Titan is lighter (less than half the weight of the Titan Plus), smaller (3 inches vs 3.375 inches), and less expensive ($69.99 MSRP vs $99.99 MSRP). The Titan only has two output modes, low (15 lumens) and high (125 lumens), but I think this is about as useful as a keychain light needs to be. 15 lumens is perfectly fine for regular utility tasks (e.g. checking in containers), while 300 lumens in a keychain light is a bit of overkill. While having 300 lumens in a keychain light is incredibly nice to have, actually deploying 300 lumens with the Titan Plus is not easy in a defensive situation (you would need to pre-stage the light vs an actual tactical light which can be quickly tail cap clicked on). 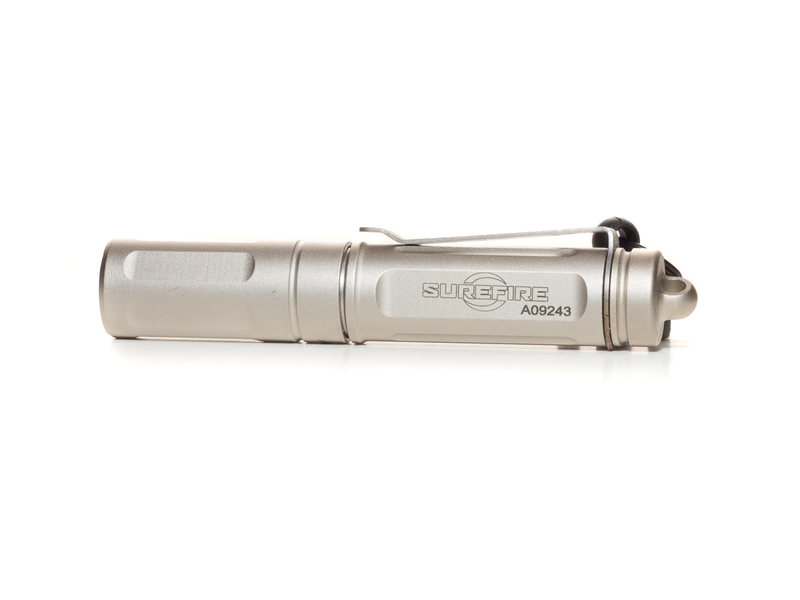 That being said, the SureFire Titan Plus is a very interesting everyday carry flashlight. It is definitely suitable for EDC and offers a lot of utility. But if you want to save a few bucks and can settle for 125 lumens instead of 300 lumens of maximum output, you can opt for the SureFire Titan, instead.